The VUCA world calls for a higher standard of leadership. One that requires a people-first leadership: tough-minded yet tender-hearted. 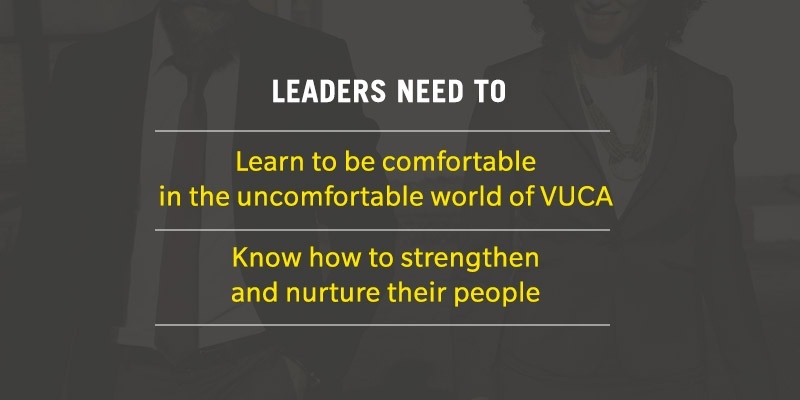 Leaders need to learn to be comfortable in an uncomfortable world of VUCA. Leaders need to know how to strengthen and nurture their people. 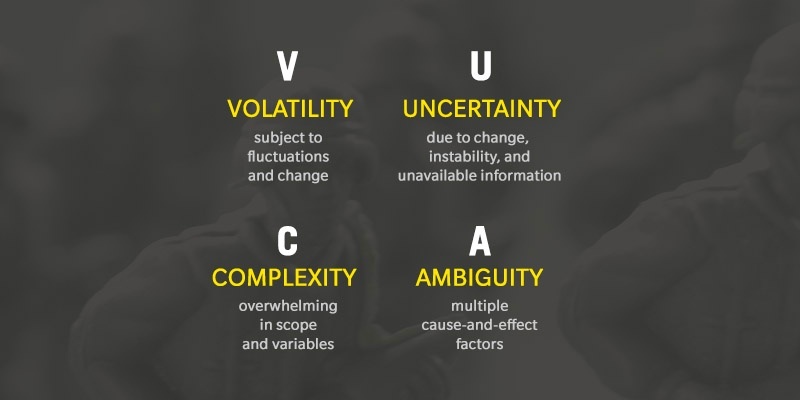 VUCA is a military-turned-management buzzword describing the realities businesses face today: volatility, uncertainty, complexity, and ambiguity. The term was first used to describe conditions of war, and it has rightly been adopted by the business world where leaders today feel they are navigating through fog and dense forests as they attempt to lead their team through each mission. Because of industry disruption, today’s leaders need to lead with a level of vigilance comparable to leading a country in peril. 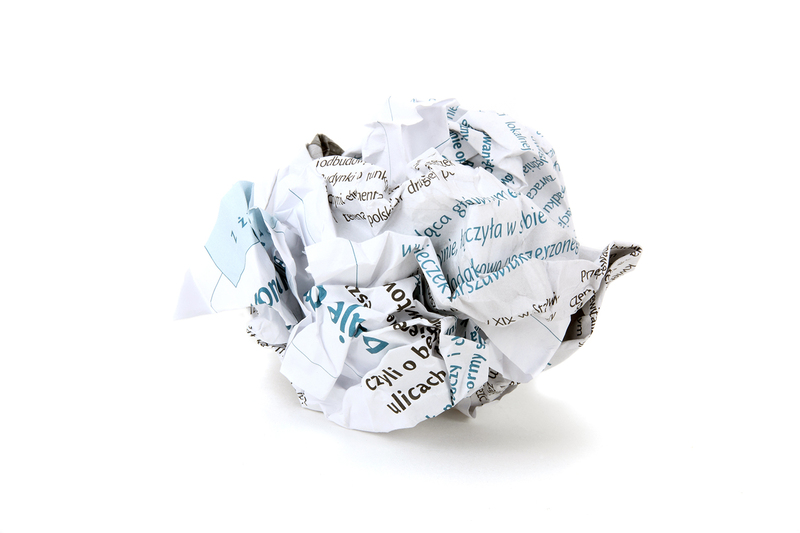 With technology’s effect on the speed of change, one new product can instantly render an existing product useless. Constant shifts in the market, influenced by anything from politics, terrorist attacks, to outbreaks and natural disasters can change anything in an instant. The VUCA reality has ushered in a new standard of leadership. The survival of a business depends on leadership trained for a VUCA world. The World Economic Forum refers to this present age as the Fourth Industrial Revolution. The fourth industrial revolution is “disrupting almost every industry in every country. And the breadth and depth of these changes herald the transformation of entire systems of production, management, and governance.” says Klaus Schwab, Founder and Executive Chairman, World Economic Forum Geneva in The Fourth Industrial Revolution: what it means, how to respond. “Emerging technology breakthroughs in fields such as artificial intelligence, robotics, the Internet of Things, autonomous vehicles, 3-D printing, nanotechnology, biotechnology, materials science, energy storage, and quantum computing are already shaping our our future". As our future is being shaped by these VUCA forces, how should we design and shape and envision our organisation’s leadership development? What leadership competencies will be most valuable in the future we foresee? Or rather, the future we cannot foresee. 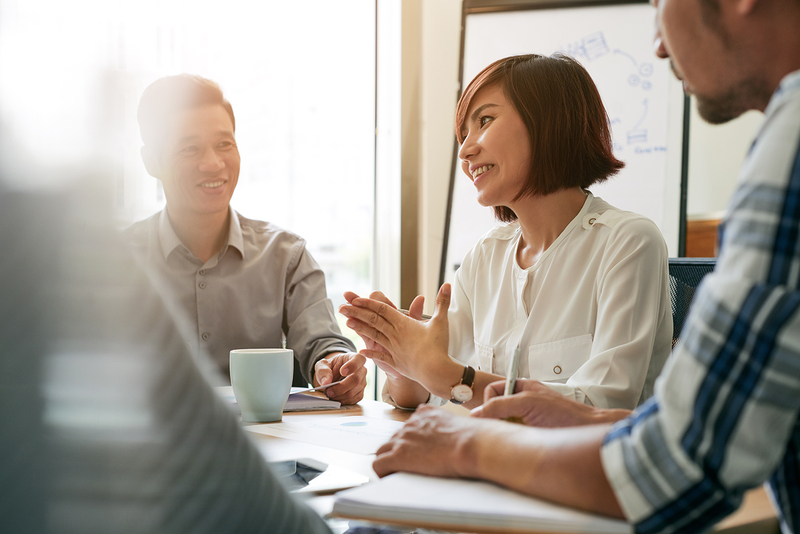 The next four leadership qualities—self organizing, efficient learning, nurtures growth, and connection and belonging—focus on skills that value learning agility and a nurturing culture. 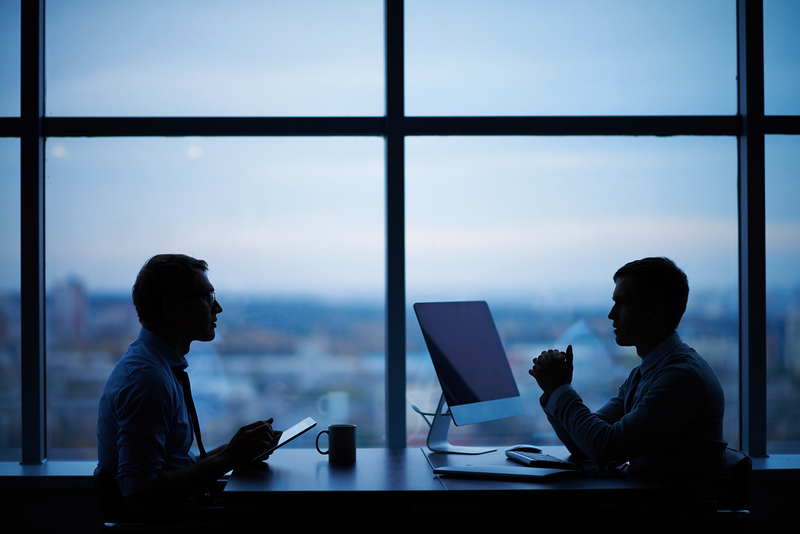 Leadership competencies that focus on people continue to be crucial to business success. People-focused leadership and military leadership may appear to be the most disparate of ideas yet nowhere are people more willing to put people first—to die for their comrades and fellow citizens—than in the military. “We all know that no plan survives first contact with the enemy,” Raghu Ragman, Leadership professor and former CEO of the Indian National Intelligence Grid, says, in a TedX Talk called Leading in the VUCA World—How the Armed Forces Do It. Citing mission success stories, Mr Ragman demonstrated leadership principles in the armed forces “Every soldier must know the strategic intent of the leader....every person must be trained to lead one level up...leaders lead from the frontlines,” were some points of emphasis. These principles reveal how the success of a mission depends on leadership and training. The VUCA world needs leaders who are tough, yet nurturing. In Forbes.com, Sarah Robb O’Hagan, CEO of Flywheel Sports and author of Extreme You, asks the question Can Great Leaders be Both Tough and Nurturing? Read more about Leadership that both challenges and nurtures. Leadership that is both tough-minded and tender-hearted is what will survive VUCA. This balance of forces is what will enable us to achieve highly valued leadership competencies—strong ethics and safety, and people management—which are necessary for managing risk and navigating through constant change. At ROHEI, we call this balance of being tough-minded yet tender-hearted Relational Leadership. 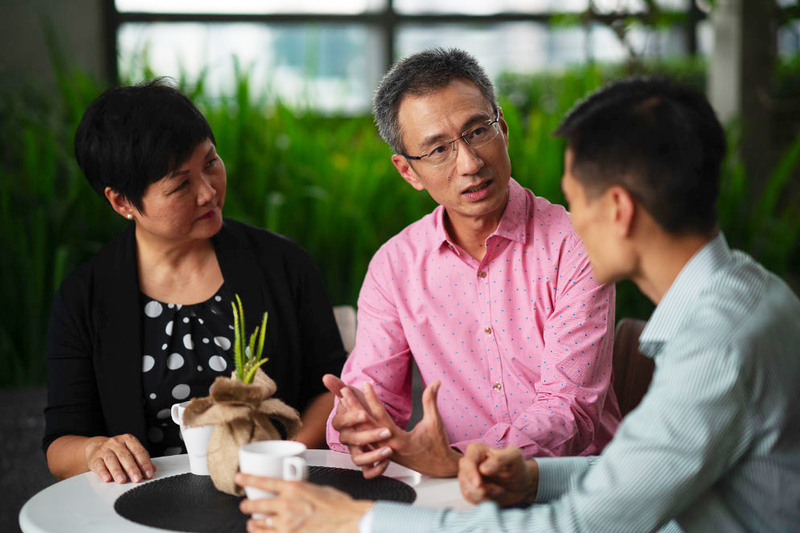 We shared these principles with business leaders in a talk on The Key to High Trust and High Performance: Relational Leadership at TAFEP’s Fair and Progressive Employment Practices Conference last April. These are the teams that survive and conquer on the battlefield. These are also the teams that will survive and thrive, in the fourth industrial revolution—the world of volatility, uncertainty, complexity, and ambiguity. 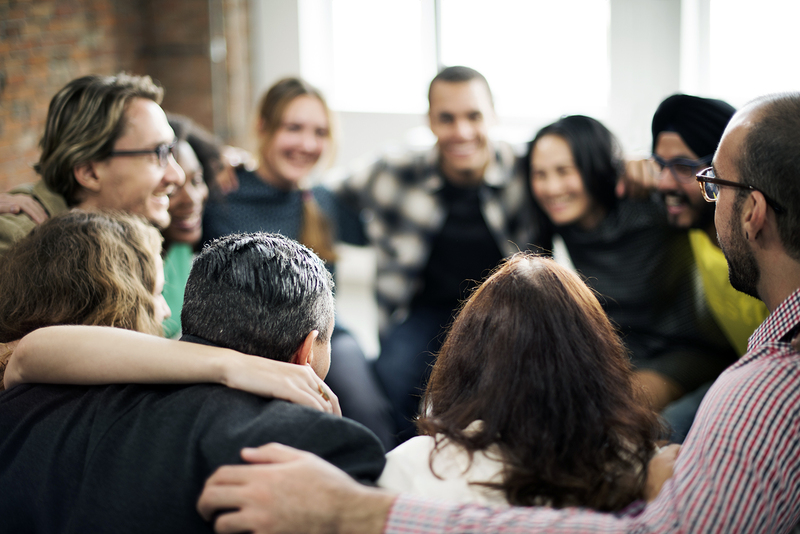 Learn how leaders can be relational.